I have spoken about this topic many times before but exfoliation really is a big part of my routine whether it be using a chemical or mechanical product, I tend to use a chemical exfoliant (ie: exfoliating pad, peel, serum etc) on a daily basis or every other day and a mechanical exfoliant a couple of times a week. I know that using an exfoliating product that contains some sort of grain, bead or particle can be a quite controversial subject but I personally like to use a mechanical scrub at least once a week, depending on how my skin is this can be up to two times a week but I would never normally do any more than that. Exfoliating my skin on a regular basis has really helped with the texture and tone of my skin as well as the amount of blemishes I get, when you exfoliate the skin you are sloughing away any dead skin cells that have built up on the skin's surface. Your skin naturally renews itself every 28 days but as we get older that process slows down, exfoliating your skin helps to speed up that process for optimal skin renewal. I find that exfoliating regularly also helps the products I use afterward absorb better, therefore working more efficiently. Whenever I notice any texture irregularities on my skin or I want it to look it's best I immediately reach for this scrub, It contains Ruby Crystals that work to slough away dead surface cells, Hyaluronic Acid adds hydration and Seaweed and Organic Red Tea Extract provides the skin with antioxidants. The thing I love most about this scrub is the texture, it's super fine but is still gritty enough to give the skin a good exfoliation. I use this scrub in the shower on a weekly basis and especially love to use it before an event. I keep this scrub in my shower and like to use it in rotation with my other scrubs once a week as it gives my skin a really good exfoliation, my skin is so much brighter and smoother after each use of this product. It contains Glycolic Acid which helps to rebalance the complexion, removes dead skin cells and unclog pores, my skin responds really well to using Glycolic Acid and when I use this product I like to leave it on for a minute or so that make sure my skin is reaping all the benefits, it also contains one of my personal favourite skincare ingredients Vitamin C which helps to reduce inflammation and photo ageing. White Brilliant Complexion contains Tyrosinase Inhibitors that blocks the overproduction of pigmentation and an Enhanced Penetration Technology helps to enhance permeation of active ingredients. I use this scrub as a super duper anti-ageing product once or so a week to give my skin an extra boost, it has really helped with the texture and clarity of my skin. Being the coffee addict that I am you can imagine who much I love this exfoliant, this is to me is gentle enough to use on a daily basis but has enough grit to it to give a good exfoliation. It contains Freshly Roasted and Ground Robusta Coffee which buffs away dead skin cells, White Clay which gently detoxifies the skin, Rosehip Oil which is a superstar anti ageing ingredient and Coconut, Almond and Grapeseed Oils which all work to hydrate and soothe the skin. This scrub in particular I like to use right before I shave, it really helps to exfoliate my skin making way for a closer shave. It contains Pumice Stone, Organic Apple, Vitamin E and Aloe Vera which all make for a gentle but effective scrub, As well as before I shave I like to use this a few times a week. 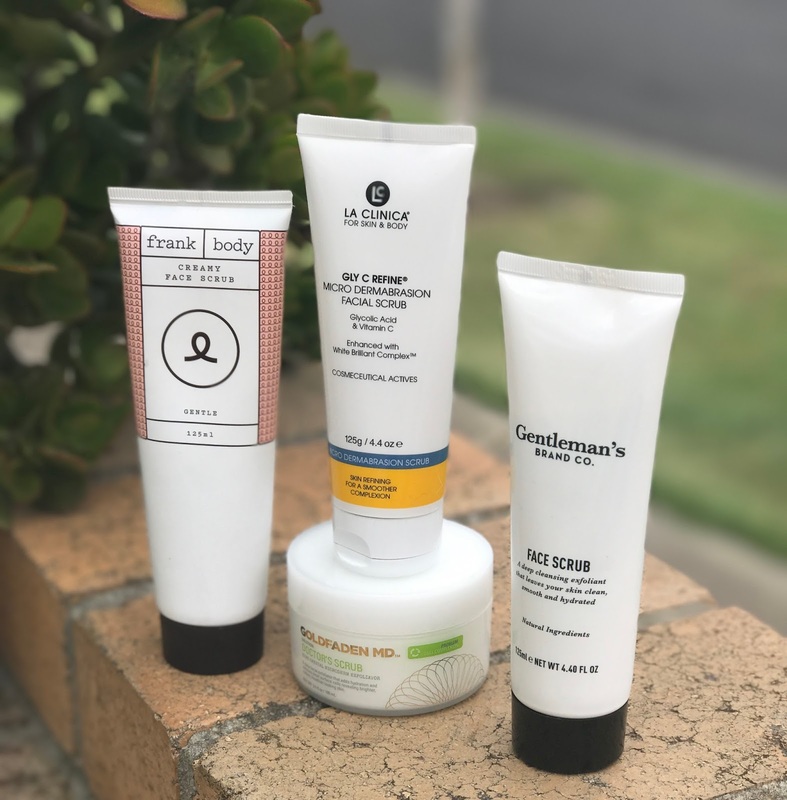 *The products marked with an asterisk in this post have been given to me by the brand /PR, As always the review is 100% my honest opinion on the products. Every single product that I mention on the site has been personally tested by me and these are my genuine thoughts on the products.